1. Cut the eggplant into 1/2 inch thick slices. Rub the slices with little salt so that any bitter taste will be gone and wash thoroughly. Pat the slices dry with kitchen towel. 2. Mix all spice powders together with lime juice/vinegar. To the mix add 1/2 tsp oil also so that the mix will bind well to the eggplant. The mix should be in the form of a thick paste so that it is easier to apply it on the eggplant. Add water to bring the mix to the right consistency if required. 3. Using a spatula, apply this spice mix on the eggplant slices. Let it marinate for 15-20 mins. 4. Preheat the oven to 400 deg F. On a baking sheet or foil, spray some oil. Place the eggplants on the sheet and rub oil on both sides of the eggplant. 5. Bake the eggplant for about 30-40 mins turning them around once during this time. 6. On both sides of the burger bun, spread generous amount of hummus. 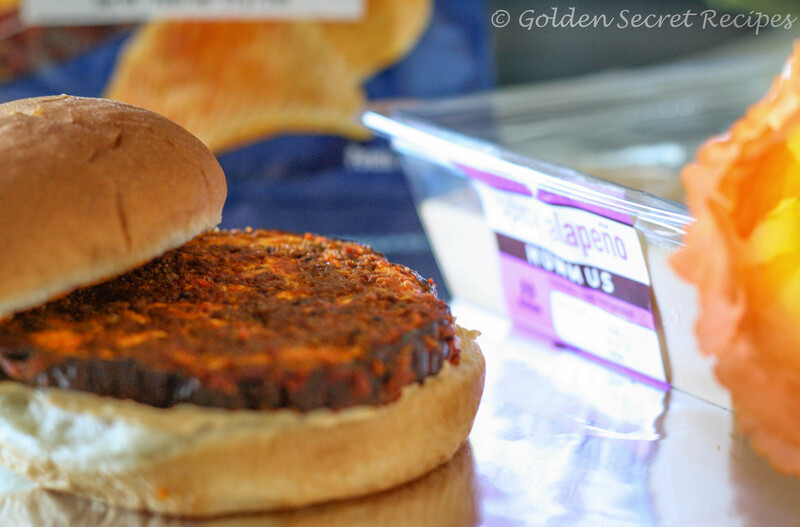 Place an eggplant slice on each bun and your burger is ready to be served! 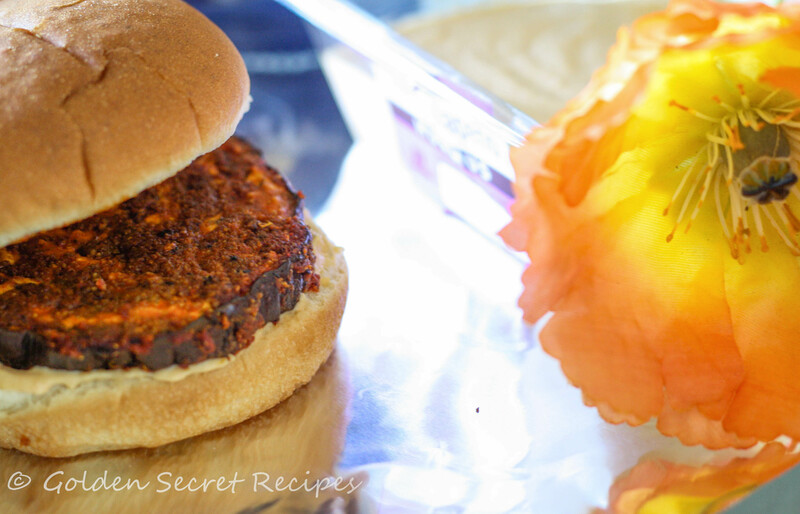 This entry was posted in Appetizer 'N' Starters, Fast food 'N' Street bites, Middle Eastern cuisine, Quick 'N' Easy Recipes, Specialities-Veggie and tagged burger, eggplant, hummus, sandwich, spicy eggplant. Bookmark the permalink.